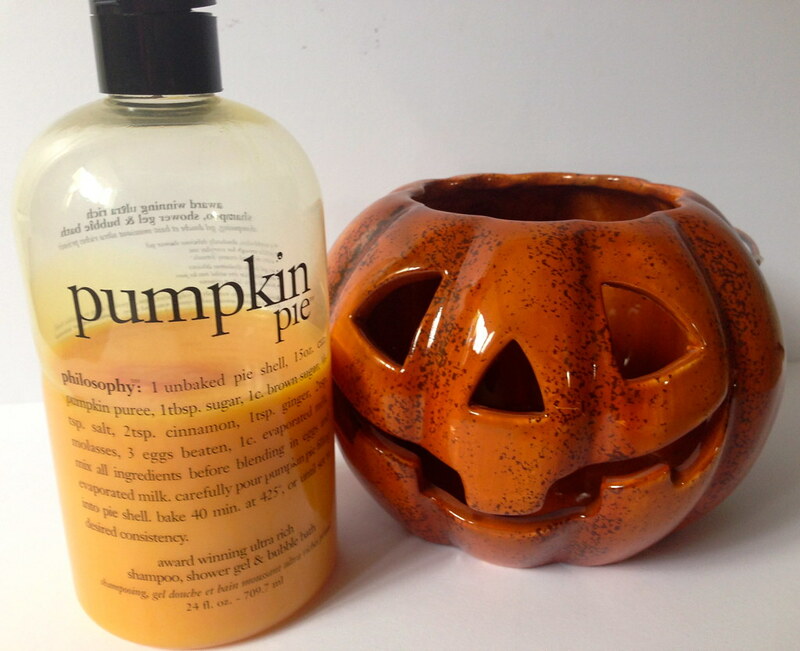 When my my mum delivered my box of Halloween decorations at the beginning of October I was overjoyed to discover a supersize bottle of Philosophy's Pumpkin Pie. When I first went to the US many years ago I went completely nuts for Philosophy's shower gel range and weighed my case down heavily with bottles of the stuff completely sucked in to their scents and seasonal ranges. Both a negative and positive to these products is their longevity. I swear no matter how frequently I use the bottles do not go down. The only reason I appear to have used so much of this bottle is because I decanted some for my mum and a friend. They really do last forever (or it feels that way!). Philosophy sells these bottles as shampoo, shower gel and bubble bath but I find they work best as a shower gel. I did use in as a bubble bath the other night and it works but there's not enough bubbles for me. As a shampoo it's basic and I use it if I'm having an evening bath and just want to freshen my hair up or I'm just spending the day at home, definitely not something I'd use on a daily basis. As a shower gel it's the best. Thick, creamy and smells amazing. This lends itself to a cinnamon scent but I can't help but just want to describe it as Autumnal and quite frankly perfect. I haven't seen much about Philosophy products from beauty bloggers so I'd love to hear if there are any other fans out there. For now all that's left to do is wish you a Happy Halloween and ask what trick or treat plans you have. I really like Philosophy products but they are a bit pricey so I tend to gravitate towards Bath and Body and The Body Shop. Both of these shops have amazing quality and occasional sales. need this in my life. Am going to track it down.